Heat rose like steam off the streets of Tehran. Every few blocks we came upon a new river: six lanes moving fast and no street lights to slow the rushing cars. It was 5pm and a city of 8.5 million was eager to get home. Darlene and I were on a day’s walk through this vast city, trying to find our feet so that we could better accompany the Messenger. He was arriving that night on a plane from Frankfurt. It would be a three week journey in Iran, taking us from Tehran to Mashad, near the Afghan border; from Shiraz to Yazd, one of the last centers of Zoroastrianism; then on to Esfahan and Qom, the center of Shiia Islam; finally returning to Tehran. A yellow sun beat down between the high buildings and combined with the car fumes to create a sepia glow. Like in Manhattan, Tehran’s avenues are long and straight. But today we couldn’t see far into the ochre haze which seemed to consume everything on the horizon. We stood at the gates of Tehran University. This campus has been at the epicenter of nearly every Iranian freedom movement to arise in recent years. As a result, it’s shut to foreigners by law. But the guard was far too sweet for the law. I told him we were from the United States and that we just wanted to see the campus. With furtive looks and a smile of pure satisfaction he pushed aside the road block and showed us onto the main pedestrian thoroughfare which runs down the campus. Their friendliness and desire to connect was palpable, as it was with so many others we would meet in the days ahead. Yet right after his emphatic welcome, the call to prayer sounded at the University mosque nearby. A discomfort entered the air and some of the medical students turned away and began talking about other things. The young man continued to look at us with a warm smile, along with another another girl in the group. Yet for some reason, a moment later we were on our own again, walking south. We passed the campus gates and stood outside. The fervor of the streets seemed even greater; taxis fought for lane-space and an aged city bus dumped its fumes and sounds on us at gunned forward to make a light. By now, the sun was sinking into a red horizon, red beyond belief. 30 minutes later, we were watching it from our hotel window 10 floors up. A beautiful sight, but grim. The sun setting on miles of humanity forced to live beneath a poison sky. It stirred in me a feeling of the future. Today, this is Tehran. But some day, it will be Earth; oceans dying, farm land drying up; broken governments and cities crowded beyond capacity; the world’s resources being depleted for survival. I thought of Marshall, who was then somewhere high above the Black Sea coast. Soon the Messenger will be here, I thought; with these people, in this city. 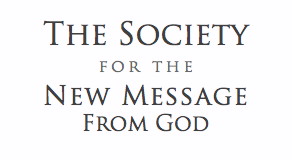 He brings with him the wisdom of the Creator and a New Message from God for humanity. “Soon the Messenger will be here.” What a remarkable thing. Soon the Creator will be able to speak to all humanity under this red sky, alongside these millions of people, in a city ringed by deserts and dry mountains, facing an uncertain future. After all, this is why we came: for the Messenger to be with these people and to receive in Iran a series of revelations from God. Several hours later, I stood alone in the lobby of our hotel. A black car pulled up and with a wave I stepped outside. My driver took me through the southern slums of the city. Orange and green lights illuminated the empty streets. Alleys winded in a thousand directions leading into dense neighborhoods; so many families packed into a single room, another night leading to another day when the sun rises hot over Tehran and the grinding press of daily life continues. At the edge of the city all lights flickered out. The road became a highway, fully lit by hundreds of lamps in tight succession. We were the only car on it; like a lone particle traveling down a light tunnel surrounded by total dark. I remembered this darkness from several days ago. Even as my plane neared the ground everything was dark – not a single light, except for one lone highway, brightly lit, snaking for miles like a canopy boardwalk above a deep unknown. The Messenger Marshall Vian Summers was now seeing the same. Soon he would join me and take this lone highway back into the city of Tehran. One Response to "The Messenger in Tehran"
Very poignant and vivid description of the drive to the airport, a lonely drive through the lights to bring “The Light” to a dark Tehran. In a passage from “God is Moving Humanity in a New Direction” the importance of Marshall’s presence in the world is made clear. The Bible refers to the messenger, Jesus, as “the Light of the world” as well.